The last of the Family Fun Days of the year at Naas Racecourse with an exciting card featuring The Beresford Stakes which is one of the qualifying races for the European Road to the Kentucky Derby. 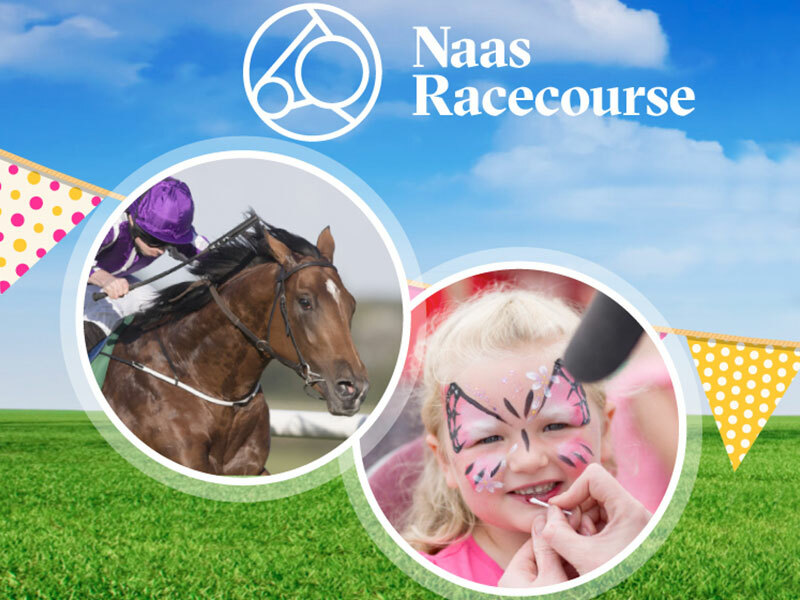 Naas Racecourse have a range of free activities for the kids including bouncy castles, facepainting, reptile zoo, costume characters, playground & more! They also have a brand new Inspire Child Development Centre. The Centre will provide a drop in facility on each raceday free of charge for two hours per Child aged 5 years old and up. Family Admission to the races is €25.00 (Family includes 2 adults and children) and just €20.00 when you pre book online and all entertainment after that is free! Located in the heart of Naas, Co Kildare. Nothing beats the excitement of day at the races in Naas. Great food, entertainment and racing!